As promotion for the Japanese premier of the movie which will be in November 22. On the pages of the 52 issue of Kodansha´s Weekly Shonen Magazine it will be published a one-shot manga featuring the Doctor Strange. The manga is a prequel of the events of the movie. This is also the debut of Haruichi as a Mangaka, in the past he won the “Excellent Rookie” Award in the Tetsuya Chiba awards. The history will center in the Dr. Strange as an arrogant surgeon, before the accident where he injured his hands. 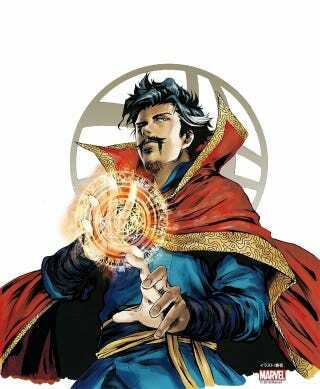 After that a manga called “Doctor Strange” will appear in DeNa´s App Manga Box.